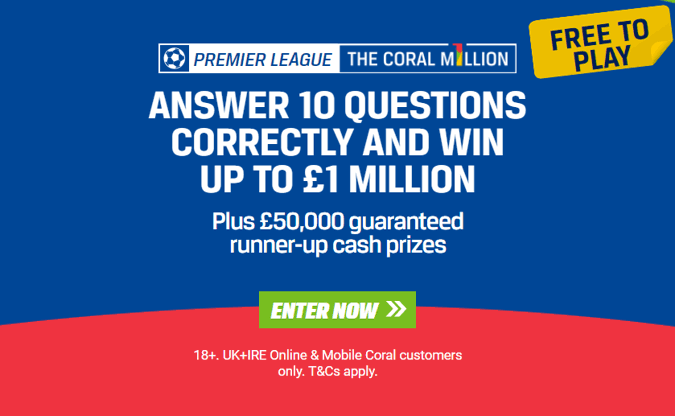 The Coral Million is completely free to play Premier League competition for Coral account holders. 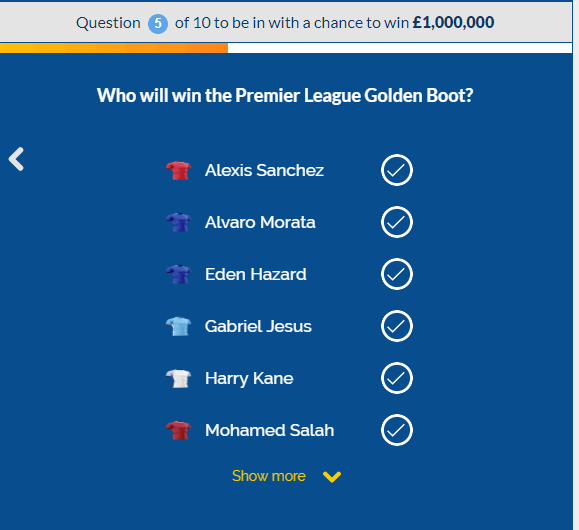 By predicting the correct outcome of ten questions for the event you could win, or share, a cool £1,000,000 in real cash. If you don’t have an account and you are over 18 years of age and residing in the UK or Ireland then registering is easy. 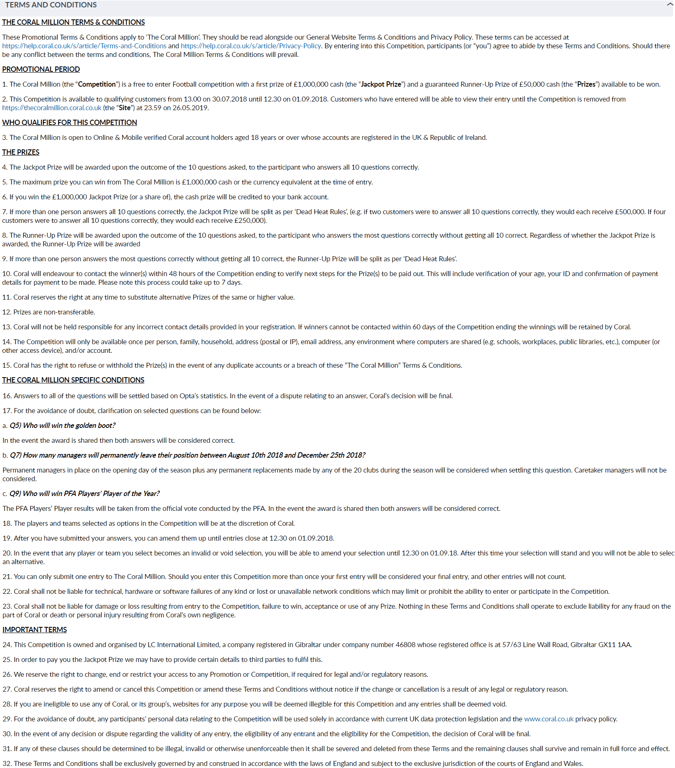 There is also a welcome offer available (T&C’s apply) which you can read about in our full Coral Review. 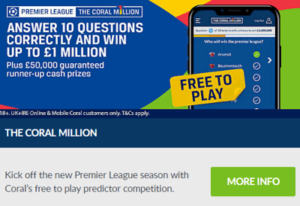 Once you have your account open visit the promotions page where you can play the Coral Million, no previous deposits or bets are required to qualify. You’ve got until the 1st September 2018 (12:30pm BST) to submit your entries. 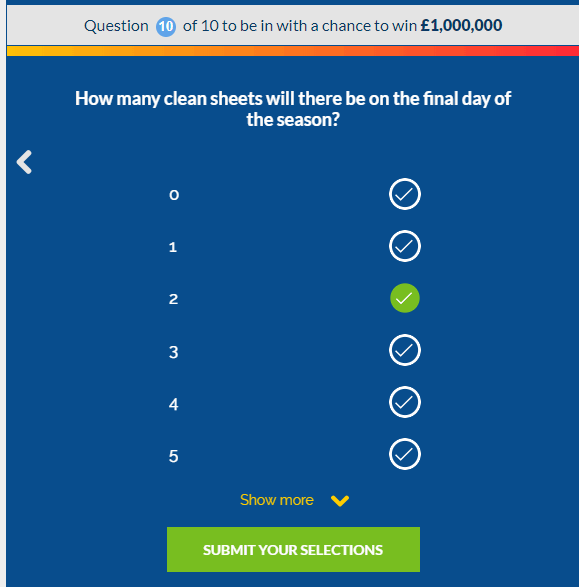 Once you’ve submitted your answers you can keep track of how your predictions are doing as the season progresses. You can edit your predictions any time up until the closure time. 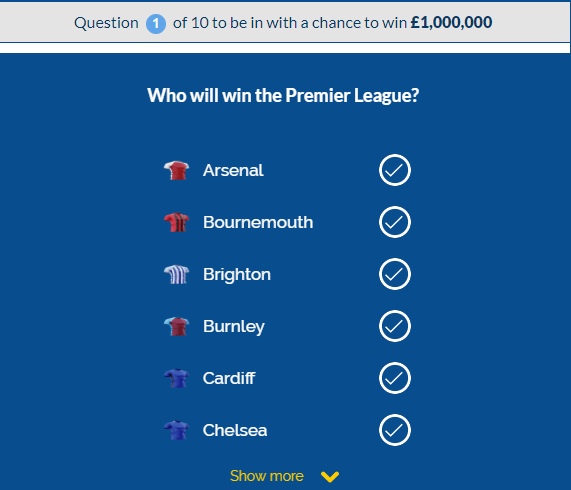 The jackpot prize is awarded £1,000,000 in real cash to the person, or shared between the persons, who get all ten predictions correct. There is also a £50,000 runner-up prize to the person(s) who guess most answers correct without getting all 10 correct. For details of how to claim the prize or for more information about the game see the full Coral terms below or on the Coral website by visiting below. Good luck.